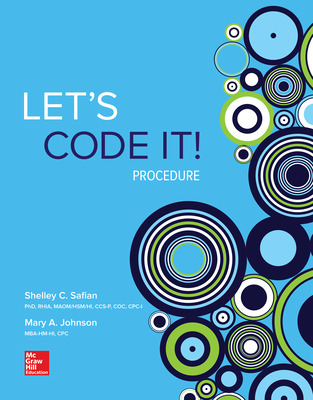 Journey to Coding Career Success—Let’s Code It! has the most efficient learning tool to achieve career goals in your journey as a successful medical coder. Instruction is presented in easy-to-understand language with numerous examples. Hands-on practice encourages critical thinking using realistic physician documentation from both outpatient and inpatient facilities. Students are carefully guided to select the most appropriate codes for diagnoses, procedures, and ancillary services.